General Contractor Main Line | Andrew L. Bruckner Inc.
Remodeling and restoring your home sometimes takes more than just one contractor. If you want your project to come full circle, then you need a trusted team of professionals who work together starting from the initial design process. 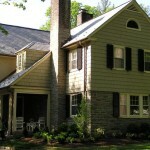 We specialize in remodeling Main Line kitchens to fit your budget and design desires. Kitchen services include cabinet and countertop replacement. Read more. Improve your bathroom or start from scratch with custom counters, showers and sinks. Read more. An addition can enhance the beauty of your Main Line home and create more space, whether a new bathroom, bedroom, or family room. Read more. We employ high quality materials and work with an experienced team to ensure that our exterior restoration work is second to none. Read more. 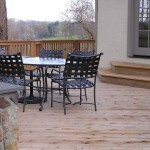 We can manage a variety of home projects, from building a new deck to creating home organization systems. 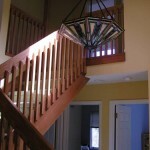 Take a look at some various projects we have completed in the past. Read more. We provide general contracting service throughout Chester County, and across the Main Line, including Ardmore, Bryn Mawr, and Wayne. If you are interested in any of these services or would like to get the opinion of an experienced Main Line remodeling contractor, call (610) 642-3318 or fill out our Request an Estimate form.